Documents leaked to The Intercept’s investigative team of Alleen Brown, Will Parrish, and Alice Speri reveal how the company charged with building the Dakota Access Pipeline (DAPL) colluded with mercenaries from the War on Terror to surveil and suppress the Standing Rock Sioux water protectors and their friends in their lawful struggle against ecological degradation. As you may know, since the new Administration’s cancellation of environmental review and its re-authorization of construction, the pipeline struck its first leak while still barely operational. No surprise for anyone who has paid even passing attention to the abominable environmental record of the extractive industry and its infrastructure. Once again, the prophetic fears of Indigenous peoples have been confirmed. The cynical assurances of Energy Transfer Partners and their governmental and corporate enablers, given the lie. 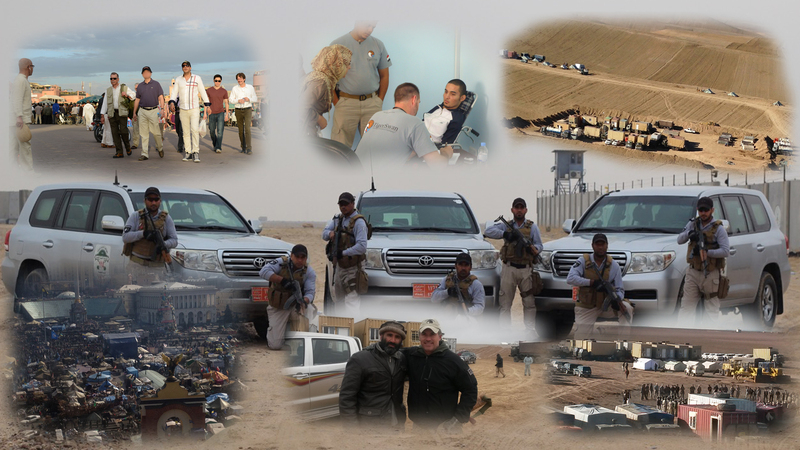 And now, fresh from Iraq and Afghanistan, the TigerSwan security agency—in collusion with the FBI, the Department of Homeland Security, the Department of Justice, the Marshals Service, the Bureau of Indian Affairs, and state and local police in five states (forgive me if I have left anyone out! )—have brought the battlefield home. This is the reality that we saw live on our computer screens last fall: a brutal, militarized, domestic law-enforcement regime reminiscent of the occupying force that greeted protesters in Ferguson, Missouri. Which only added legitimacy and momentum to the nascent and unduly maligned Black Lives Matter movement. 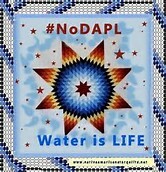 Yet we are expected to swallow the propaganda, as the President and others have conveyed it to us, that the protesters in North Dakota were “very bad people” and their oppressors, in their figurative white hats, pure and good. And that the victims and activists against police misconduct in Black communities across the nation are the moral equivalent of rioters, cop-killers, and terrorists. This in the fabled “land of the free and home of the brave,” where hysterical public officials, politicians, and white supremacists feel newly emboldened to assault journalists (“enemies of the people,” as we are told) and where state and national legislators feel empowered to criminalize our First Amendment rights to peaceful assembly and protest. While I have not dug into the multiple files of evidentiary documents, I have read in its entirety The Intercept’s extremely thorough (and unsensational) reportage. Those of us who value our own and our fellow citizens’ civil liberties—even theirs with whom we most vigorously disagree—have more than ample reason to feel incensed by the story it brings to light. America’s economic empire—increasingly enforced by military might—has come home to roost, it would seem. Protecting the investments of our perpetual-war profiteers all around the globe: the art of the deal, and the privileging of property and profits over the moral needs of regular people, represent the prevailing socioeconomic and political ideology, after all. Which, with the unregulated exploitation of our planet’s natural resources, is the logical end-place of unrestrained capitalist greed. But why are we surprised? The primary business of the American people, as Calvin Coolidge told us, and since the days of the recently lionized and celebrated Alexander Hamilton, has been business. And President Eisenhower warned us, when he left office in 1960, of the rapacious appetite of our military-industrial complex; which the brilliant and indomitable Canadian journalist Naomi Klein has more recently metamorphosed into the neoliberal regime of disaster capitalism. Is this the promise of peace and prosperity that we all voted for? Winners and losers, both, in the past election? Now, my patient readers, let me make a rhetorical turn to a more particularly literary terrain. Perhaps, in the end, the twain shall meet and lead us toward the seat of wisdom. I don’t recall how, more than a decade past, I came upon it myself, but doing so I translated the episode in which Don Quixote, were it not already taken by another knight, might have acquired a new title: The Knight of the Forest. The excerpted arboreal narrative, taken from chapter 16 and the beginning of chapter 17 of Montalvo’s work, I offer here in the spirit of the Standing Rock Sioux and their sacred waters. The translation first appeared online in The Quill & Ink, whose Indian editor, Anirban Choudhury, now resident in Hong Kong, was a consultant to Bosnian editor Voki Erceg’s Hourglass Literary Magazine—about which, a brief note further on. As Don Quixote was saying this, he cast a glance to one side of the road and saw a man, rather well on in years, who was having two beautiful cypresses hewn down from a group that offered dark, fresh shade for a good distance around. He stopped and asked him why he was having such beautiful trees demolished, in an instant destroying the work for which nature had required so many years. “Who is it?” they asked from within the carriage. 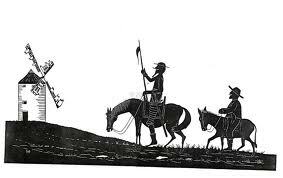 “The knight Don Quixote of La Mancha, who wishes to greet the Lord Bishop,” responded one of the men on horse. Don Quixote dismounted then and did what the prelate wished, greeting him with a bow. The Bishop got out, considering whether some crime might really have been attempted there, and whether even now it was possible to prevent some misfortune. The Biblical form of speech used by Don Quixote seemed good to the Bishop. Understanding the situation perfectly, and to humor the knight, he expressed that such an outrage greatly displeased him. And he joined him in extolling the inhumanity of one who had thus wanted to kill those beautiful giants of creation. Perhaps the prelate was speaking in good faith, too, since every heart where noble sentiments dwell has hidden connections with nature. A tree that has lingeringly received the mysterious virtue of the centuries, along with the recondite essence of the earth, is an object that instills an almost religious respect and love. Yet there are those who in an instant destroy the work of two hundred years to take advantage of the puny circumference that a tree makes useless with its shade. To greed nothing is sacred. If the Phoenix bird were to fall into his hands, he would eat it or sell it. What does not produce, the speculator does not want. To the miserly soul, beauty is a chimera. A fool with neither light in his mind nor music in his heart does not attain the ability to enjoy it, nor does his soul possess the requisites that are needed in order for the wonders of the universe to make an impression on it. Only the thoughtful man whose deity has him continually aware, marveling at the Omnipotent’s works and becoming mad about Nature’s graces, ever kneels before the Parnassus. 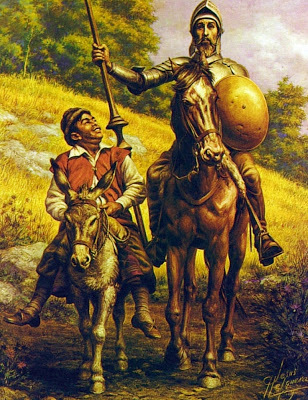 Don Quixote and his good squire, Sancho, who is not present for this adventure. Whether for fear of the one or respect for the other, the old man apologized as best he could and confirmed his promise to not carry forward a work that he had in no way considered to merit censure. Postscript: I will forego my translator’s note on names to mention, finally, the happy news of the previously promised publication, in the little country of Bosnia, of Hourglass Literary Magazine. A copy of this in-every-sense weighty book came to me some few weeks ago with, toward the back of it, my own essay called “Small Graces.” It is followed by its translation into the language formerly known as Serbo-Croatian and now, in the reconstituted reality of four nations, at once Serbian, Croatian, Bosnian, and Montenegrin. Those of you who have ever seen your own literary work rendered in a language you cannot read will understand the level of my excitement. And, while publication was delayed for some months (as is not uncommon, given the vicissitudes of modestly and irregularly financed literary journals), its material remains immediate to the concerns we face a year after my writing. And not just my essay, but everything I have so far encountered in the magazine. I continue to make my way through the rest of its excellent content. As for “Small Graces,” should you have a chance to read it, rest assured that its musings of a political nature are surpassed by the most judicious and personal consideration of the liberal arts and human graces that become even more vital than ever in times such as ours. We may be trapped in a world of cutthroat business and corporate practice, conscienceless deal-making and opportunistic politicos, but only through art, music, literature, and all the other liberal or humane arts do we learn how to live and conduct ourselves in the shadow of the valley of the imperial doctrine of Might-Makes-Right. 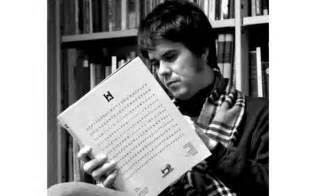 The eloquent and honest wielding of letters, after all, or of the poetry and rhetoric of literature, is arguably no less necessary than the most righteously activist tilting at the windmills of extreme inequality, injustice, and ecological ruin. Perhaps even more so, we can only hope, than Don Quixote’s soldierly exercise of arms in the age of potential nuclear and climate apocalypse.